A startup called Yoshi delivers gas to people’s cars for a monthly fee of $US20. Yoshi, which is competing with several companies billing themselves as the “Uber for gas,” has been backed by ExxonMobil and General Motors. It currently operates in 16 cities, including Chicago, Los Angeles, and Boston. 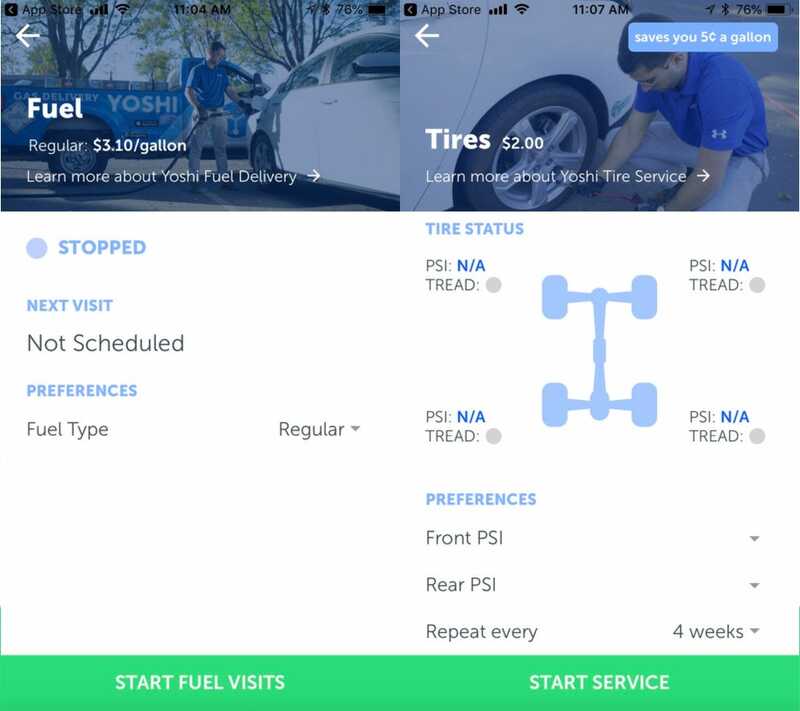 Customers can also use Yoshi for oil changes, tire service, and more. 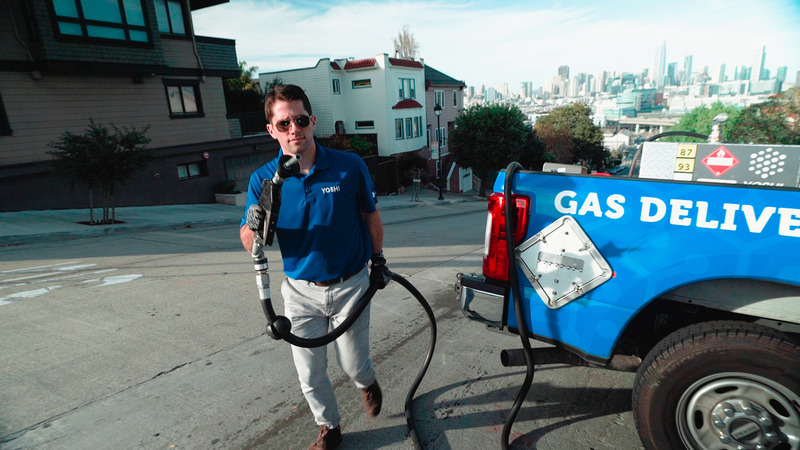 A growing number of startups calling themselves “Uber for gas” are offering an alternative for people who believe that gas stations are too inconvenient. The companies are also trying to fill an emerging deficiency in gas availability: According to the National Association of Convenience Stores, the number of retail fuelling sites nationwide has gone down by 25% from 1994 to 2015. Among these startups, Yoshi stands out as a frontrunner. The company has expanded from three cities to 16 in the past year, raising more than $US15 million in funding – including support from ExxonMobil and General Motors Ventures. Yoshi hasn’t revealed how many people have signed up for the service, according to the Washington Post, but it currently delivers gas in Chicago, Los Angeles, Boston, Houston, and other US cities. Yoshi’s fuel comes from ExxonMobil, and customers pay a $US20 monthly fee for delivery. 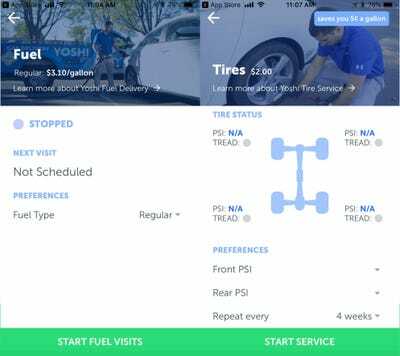 The startup also offers services like oil changes and wiper blade swaps, and customers get per gallon discounts on their gas if they choose these add-ons. Customers can schedule these services and communicate with “field technicians” who complete them through an app, available on Apple and Android. The startup asks customers to leave their fuel door ajar, but drivers do not need to be present while Yoshi employees work on their car. Yoshi can also install a magnetic fuel vault in compatible cars, making it possible to complete a fill-up without customers having to leave the fuel door open. In addition to Yoshi, several other gas delivery startups are trying to expand their reach. Silicon Valley-based Filld delivers fuel to customers in the Bay Area and Seattle, and Booster Fuels says its service is safe and more eco-friendly than traditional gas stations. As these companies gain more followers, some fire marshals and fire department officials have expressed concerns about startups transporting large amounts of a flammable liquid on the back of a pickup truck. Yoshi sometimes delivers gas to parking lots and high-rises, but the startup says its fuel tanks are certified by the US Department of Transportation and adhere to local laws, according to the Post. The startup has not experienced any gas spill accidents since launching in 2015, and Yoshi intends to begin delivering gas to nine more cities by the end of the year. According to its website, people can save 33 hours and $US240 a year by using it.